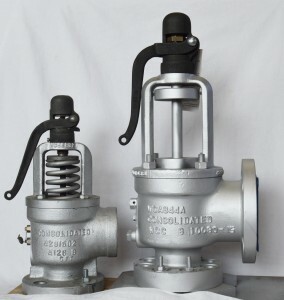 Gaskins Co., Inc. Safety & Safety-Relief Valves | Gaskins Co., Inc.
We are authorized by the ASME and National Board to assemble, test, & repair valves to meet the stringent standards of ASME codes Section I & Section VIII. We are an authorized Green Tag® Center for Dresser/Consolidated Valves. We accommodate sizes 1/2″ MPT to 12″ flanged and pressures from 1/2 PSI to 8000 PSI operating in air, steam, or liquid environments. Our material offering includes bronze, brass, iron, steel, stainless steel, and exotic alloys.